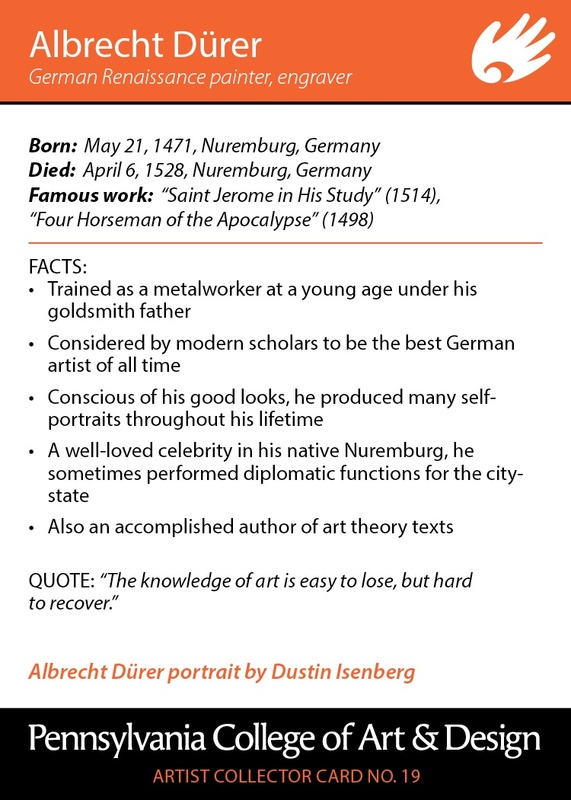 Albrecht Dürer, German Renaissance painter and printmaker, was born on May 21,1471 in Nuremburg, one of the great European centers of art and commerce, is considered one of Northern Europe’s most influential artists. Dürer’s prolific work includes engraving, portraits, self-portraits, water colors and religious themed altar pieces. His talent using woodcut garnered him widespread notice when he was still in his twenties, and advanced woodcut prints as an individual form of art, rather than a tool for book printing. Four Horsemen of the Apocalypse (1498), the Passion Cycle (ca. 1497–1500), and the Life of the Virgin (begun 1500), were completed before Dürer was thirty. Other woodcuts, Knight, Death, and the Devil (1513), Saint Jerome in His Study (1514), and Melancholia I (1514), were made for patrons, rather than for religious worship. Although a Northern European artist, he was drawn to the theory and art of contemporary Italian greats, including Raphael, Giovanni Bellini and Leonardo da Vinci. Deeply intellectual, he wrote books on art theory including Four Books of Human Proportion (1528), and Four Books on Measurement (1525), the first German book for adults on geometry. Dürer's talent and intellect gave him entry into prominent circles in German society. 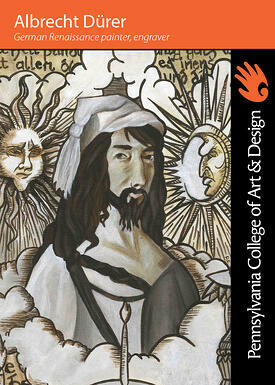 He became official court artist to Holy Roman Emperors Maximilian I and Charles V. He created portraits of some of Europe’s prominent theologians and scholars, including Erasmus, Philipp Melanchthon, and Willibald Pirkheimer. For the town hall of Nuremburg, one of the first cities to embrace the Protestant Reformation, he painted two panels of the Four Apostles (1526), bearing texts of Martin Luther's.